EMPLOYERS will soon find it easier to hire construction workers from Sri Lanka and the Philippines. The Building and Construction Authority (BCA) has appointed companies to run test centres in these two countries, where employees will undergo a six-month training course and take a skills certification test. All new foreign construction workers must pass this test, conducted by BCA officers, before they can work in Singapore. There are no such test centres in Sri Lanka and the Philippines now, and workers from these countries who wish to work in Singapore have to fly here and take the test. Mr Neo Choon Keong, BCA's group director of manpower and strategic policy, said Singapore must diversify its sources of foreign construction workers as fewer Indian and Chinese national construction workers are coming here. There are 277,600 construction workers in Singapore, most of them from China and India. Mr Neo said: "The fast-growing economic development in countries like China and India implies that there are plenty of job opportunities there and fewer construction workers are willing to come to Singapore." He added that there will be strong demand for labour in the future because of upcoming public housing and infrastructure projects. 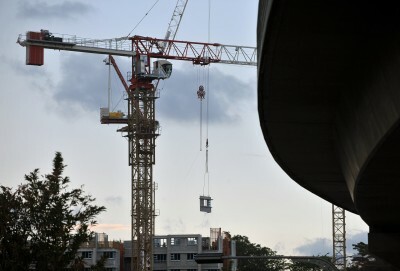 Singapore Contractors Association president Ho Nyok Yong said it was getting harder to attract workers from India and China. Other traditional sources such as Malaysia and Thailand had dried up too. "I think the Philippines and Sri Lanka will be viable sources of construction workers as many of their citizens speak English," he added.